Metered street parking. Numerous parking garages and lots within a three block radius. Closest metro stations are Chinatown, Mt. Vernon Square/Convention Center, Judiciary Square and Union Station. DC Circulator bus stops on Massachusetts Ave. NW and 5th Street NW and a number of other bus stops nearby. 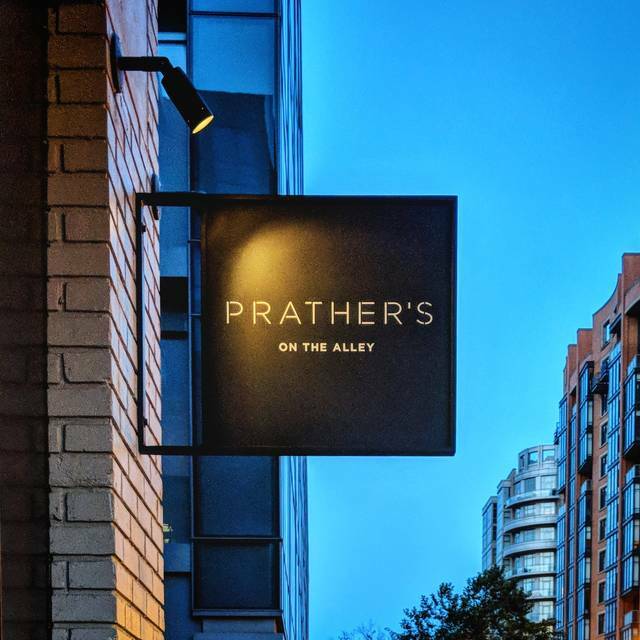 Prather’s on the Alley features chef-driven modern American fare, innovative and classic craft cocktails with a twist, and a thoughtfully-curated selection of wine. 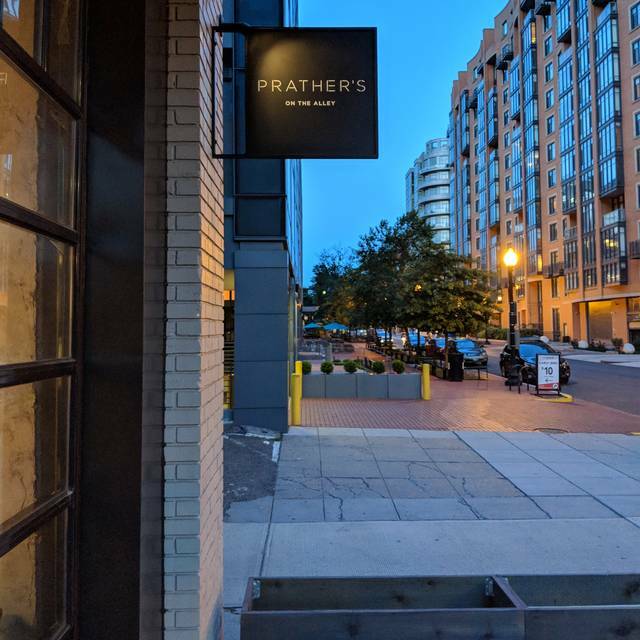 Our ambience is comfortable and stylish, making Prather’s a perfect place for a great lunch, brunch or dinner, drinks and happy hour, or late-night bites. The waiter was somewhat rude to our party. The pricing is too expensive for an average meal quality. Another excellent meal at this hidden gem. Keep it up! The food was surprisingly good. The soup and salads were excellent. Very flavorful. Distinctive presentation and rich! The salmon was very good but the cod lacked flavor. That was the only let down. Otherwise, quite excellent! Food was good, but the service was sub-par. The restaurant seem understaffed, using the same person to serve as the host, server, and bartender. (Or else our server was just spending his time hanging out behind the bar instead of serving us.) We had to chase our server down after waiting beyond a reasonable amount of time to order, request the check, and pay. For the high prices, the food was nothing to write home about. The white lentil hummus, however, is a great app. Probably will not be going back even though I live in the neighborhood. Wonderful atmosphere, service and food! Great service, awesome drinks, and yummy food! Great outdoor seating, too. All of the food (apps and entree) was way too salty. Barely edible. Absolutely phenomenal. 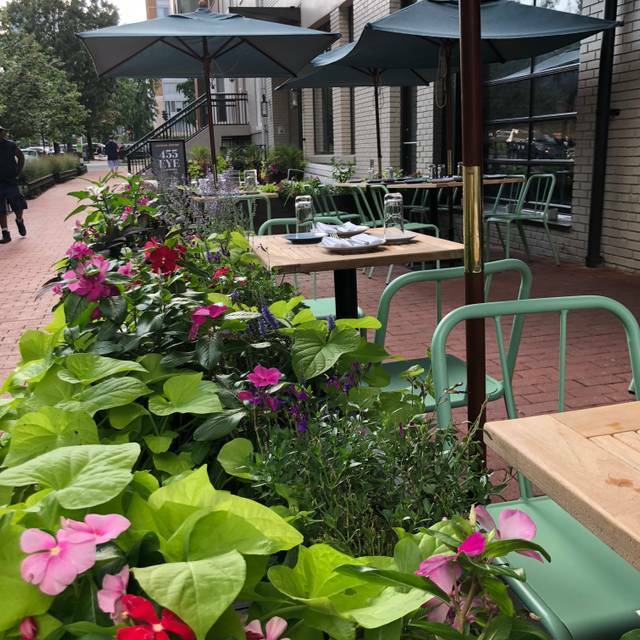 A neighborhood gem with absolutely knockout cuisine. Pasta making is some of the best I've had in DC (think Red Hen), and really exciting and challenging combinations of textures and flavors. The sablefish dip, white bean hummus, pork pappardelle and mushroom gnocchi were all standouts, and the berry beignets were a lovely way to finish the meal. Front of house was also great with fantastic cocktails, speedy service, and friendly and attentive staff. This brunch made me sad. 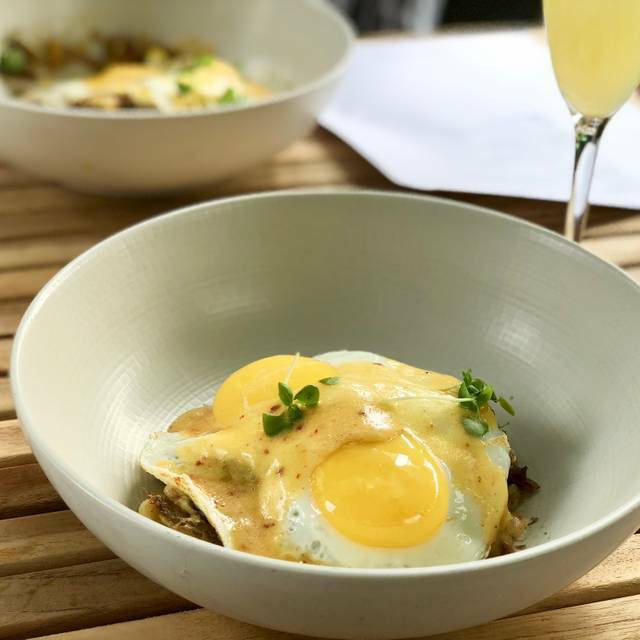 This review mostly focuses on one item: the carbonara on the brunch menu must be the tiniest amount of food ever served as a brunch entre. It was decently flavored for a simple dish, but the miniscule amount of (presumedly hand-made) pasta left me absolutely starving. Other dishes on the limited brunch menu seemed appropriately sized. I accepted a charity bite of a friend's order of the duck hash and it was pretty nice for $16. It's overflowing skillet full of ingredients mocked my delicate tea-cup-sized barren dish. For $15 a small bowl of carbonara filled me with regret since my stomach was not filled by the food. Staff was really phenomenal. Tbey ran into an incident where they had reschedule us because they couldn't honor our reservation, and they politely offered to comp prosecco for the table for mimosas and three weeks later, they remembered and took great care of us. Really happy with the experience, especially how they handled the scheduling hiccup. Luck to have this in our neighborhood! My new go-to Sunday brunch place. Very loud - we were only one of a few tables seated and the noise from the bar made it difficult to hear each other. Food was decent, service was great. This place has been on my list of places to try and they did not disappoint. I went for brunch but will be going back for dinner! Great experience! It’s a bit of a hidden gem in Mt. Vernon Triangle. The drinks and food were inventive and great. And the service was impeccable. Key recommendations include: hummus and roti small plate, shrimp risotto, hanger steak, and cookie ice cream dessert. Very good food, drinks and wine selection! 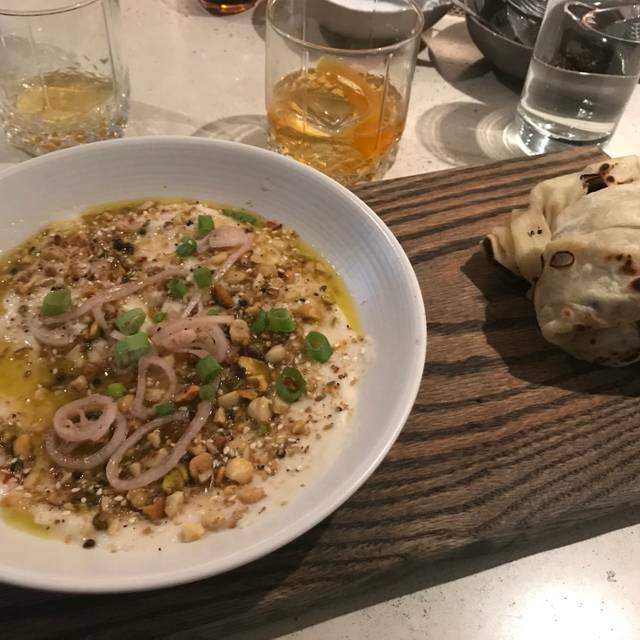 Especially the White Lentil Hummus and Roti dish. Superb. Generally wonderful service, albeit the host came across a bit impertinent. Overall a delightful experience. I enjoyed my meal very much! I had the salmon, which came with mushrooms and farrow, and a side of Brussels sprouts. Everything was delicious, and he portion size was very nice. Service was great, the atmosphere was nice but friendly. There is a bar area as well as tables. It was a little pricey for what I ordered, but overall mostly worth what I ordered. It is not a restaurant- it's a bar scene for mid-20 somethings. We went to another restaurant because the noise when deafening. It is a very light and airy space. A lot of windows. The food is good. It is rich food. I really liked my experience here. Service at the bar could have been better and the plate sizes are small. Was still hungry after a full lunch salad with chicken added. Great space and food tastes amazing. Had heard excellent things so we went for dinner. Cheese plate was fantastic as well as the drinks. Our waiter recommended the Brussel sprouts as a side so we had that along with the parpardelle and the burger. 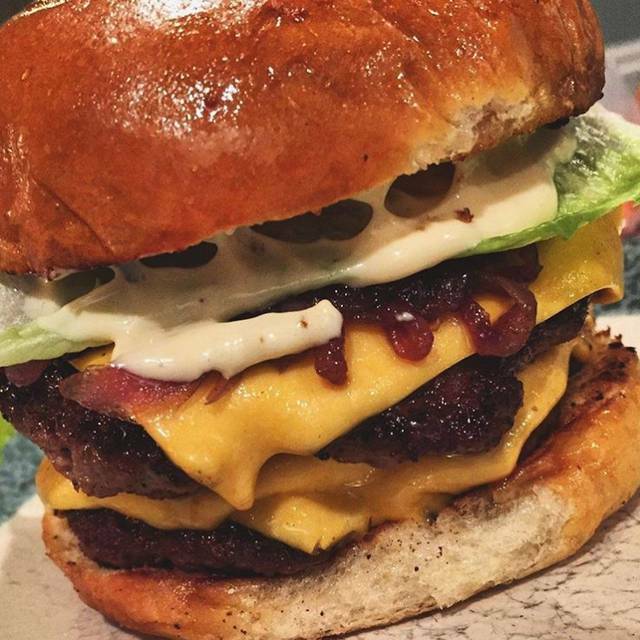 The burger was not cooked to order and then served well done, in addition it was over salted. The pasta was over salted as well. Everything was salty. The brussel sprouts were okay, but the sauce was overwhelming as a side. Would not return. The place has a great vibe and the service was solid. The drinks were good but the food was well below average. I had their burger and it one of the worse burgers I have ever had. The burger was cooked rare which would be fine, but there was no sear and the only flavor was mushy raw ground beef. My wife had the cod and it was also lacking in flavor and undercooked. Loved this spot! Open brick, industrial, clean vibe with great natural sunlight. Was not crowded at all for Saturday brunch. Service was very attentive, drinks were solid, and the menu diverse. We got the steak and eggs, duck hash, and salmon with poached eggs, which all turned out amazing. We stayed for 5 hours and didn’t want to leave. Perfect for a date or groups. Definitely will be back! Nice place with good food, but small portions. Frat if you’re in the neighborhood, but not worth driving or bus ride. The food was fabulous, our waiter and staff attentive but not overly. The setting was lovely. A great space and I will certainly return and recommend for others. Drinks were really good. The food creations are quite unique but all of the food was way too salty. Definitely a mixed bag here. Some dishes tasted great but were so small that they were unsatisfying. The steak was perfectly cooked and wonderfully spicy vinaigrette, but three slices of beef does not an entree make. A hamburger came with a burnt bun and cold potatoes. Loved the burrata salad with root vegetables. And a dining companion raved about her ricotta toast. The chocolate chip cookie is more like a slice of cookie pie and it's awesome. 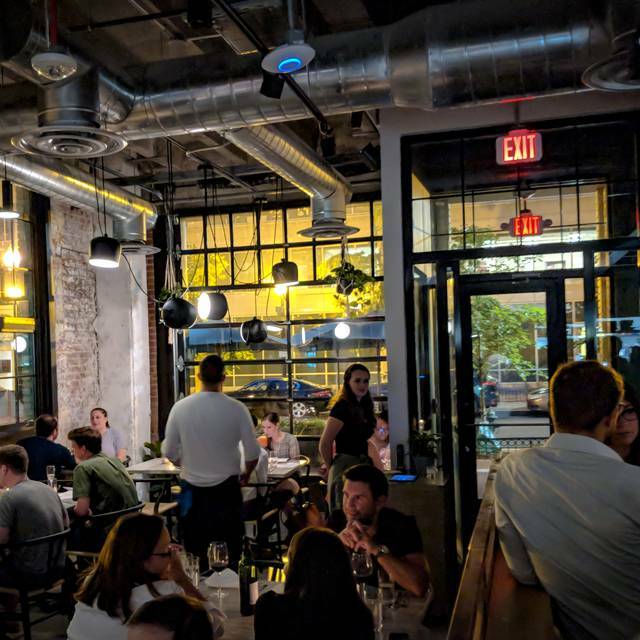 Be aware that the restaurant gets very, very noisy with its concrete walls and high ceiling. My boyfriend and I went for restaurant week and the food was simply outstanding, from the appetizer to the dessert. For an appetizer, I would highly recommend the ricotta toast, which would seem uninteresting, but they make it special. For dessert, the ricotta beignets should not be overlooked - they are not overwhelmingly sweet and will leave you feeling comforted and warm. In addition to the food being delicious, the service and ambiance were also wonderful. This was truly a meal to remember. cocktails, desserts, and service were awesome!! will certainly visit again to sit at the bar and eat a cookie! This place has everything you need for great dining experience. It is a cozy and friendly place. The food is superb. Great service with very attentive staff. Five stars all around. Only negative is it can be a bit noisy, but this is what you expect when the restaurant is completely full. We had a wonderful lunch and we’ve been back a couple of times for dinner. We loved it. This place is great for brunch and the manager is very friendly! :) It is a clean, sunny, and pleasant restaurant and neighborhood hangout with good service. Look forward to doing brunch here again. Dined here, on recommendation from a friend, with a group of five girls. We were treated like royalty, and every one who worked there was super friendly and knowledgeable, especially our waiter Mike. The food was outstanding. I had the salmon and the brussel sprouts, which were amazing. We tried all of the desserts. The beignets were to die for! The space itself is stunning: open and modern with some rustic/industrial nods. Will definitely be back. The food was excellent and the cocktails were tasty. This place can get a little pricey so brace yourself. 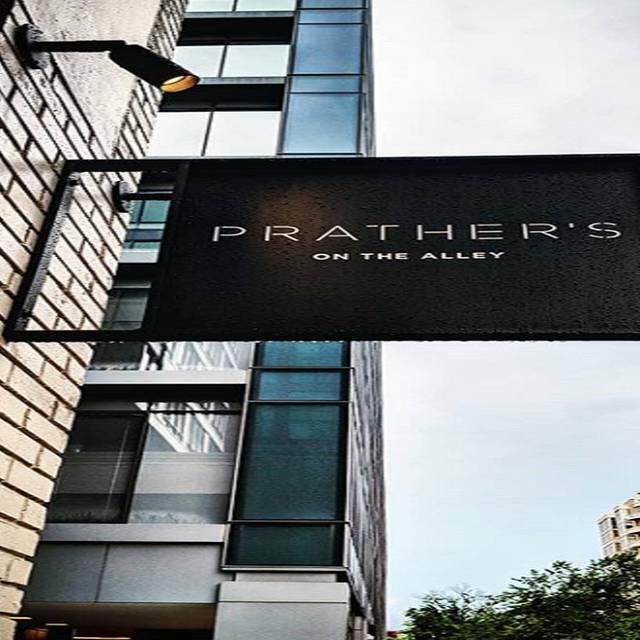 Prather's was a fantastic experience. We went on a whim, with no recommendation and had a great time. The appetizers were exciting, unusual and delicious. 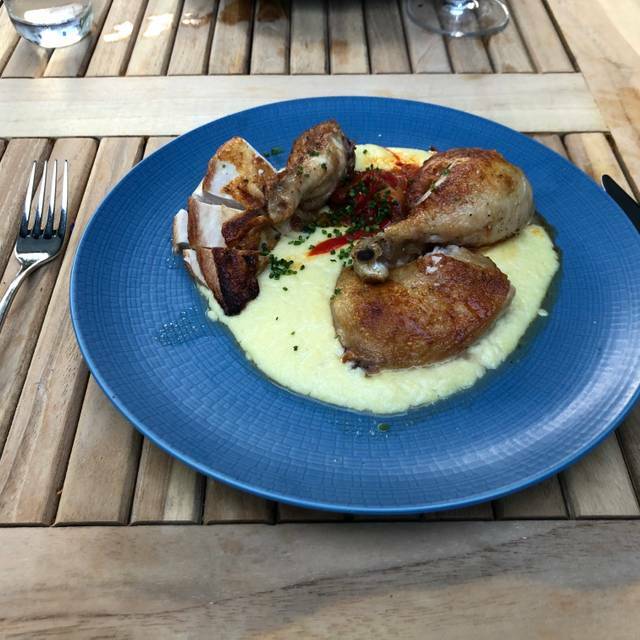 We had a variety of main dishes - the chicken, the fish and the risotto. The risotto was a little unusual, and we weren't happy with it, but the kitchen replaced it with their Gnocchi which was incredible (and the best thing we had all night). Overall a great experience, with fantastic service and great drinks. Would definitely recommend.